With $500 in BCEF grant money, parents of students in the Mandarin Dual Language Immersion program purchased materials for the schools to enhance the student’s learning environment. 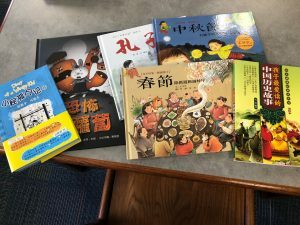 The BPS Media Center received one new book, the BPS Mandarin Immersion classrooms received 28 books and the BIS Media Center received six books (with a few more books expected). According to grant writer and parent Kendra Basler, the foreign language books/materials in the media centers are available to every student in BPS and BIS (900+ students), who may benefit from early literary exposure to these materials. 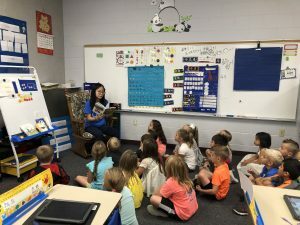 In addition, there are approximately 140 students in the DLI program who benefit from having books to use in the classroom for reinforcement of the Mandarin language. Teachers can read these books to students to reinforce students’ abilities to comprehend the spoken Mandarin language or students may be able to read these books during their free time to reinforce their ability to comprehend the written Mandarin language. BCEF is excited to be able to bring these new materials to the classrooms by working with BCSC parents.